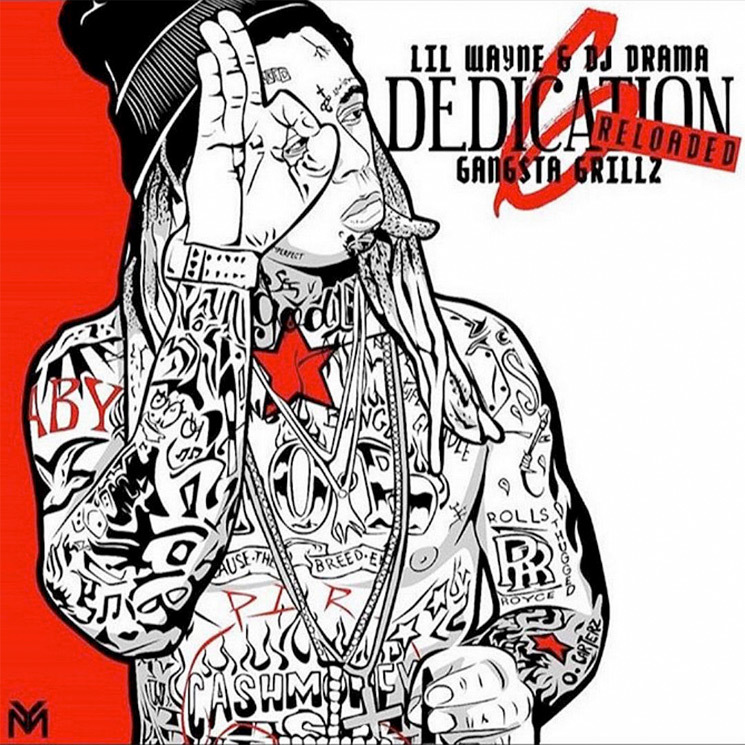 Following a string of new tracks this week, Lil Wayne has at last delivered his Dedication 6: Reloaded mixtape in its entirety. The 16-track release comes with several guest spots, including Drake, Nicki Minaj, Gudda Gudda, Cory Gunz and Juelz Santana. It also features a pile of freestyles over some already familiar tracks, including ASAP Ferg's "Plain Jane," Kendrick Lamar and Rihanna's "LOYALTY.," and Nicki Minaj and Beyoncé's "Feeling Myself." As for that Drake contribution, it's designated as a bonus track and features Weezy and the 6 God rapping over the beat of JAY-Z's "Family Feud" — a redo the pair shared previously. Down below, you can dive into all of Dedication 6: Reloaded, which follows the recent Dedication 6.